This extension doesn’t come with a content element of any sort. As it is only a service the captcha can’t be used on its own. But there is one part where editors are able to have the possibility to configure captcha related settings. 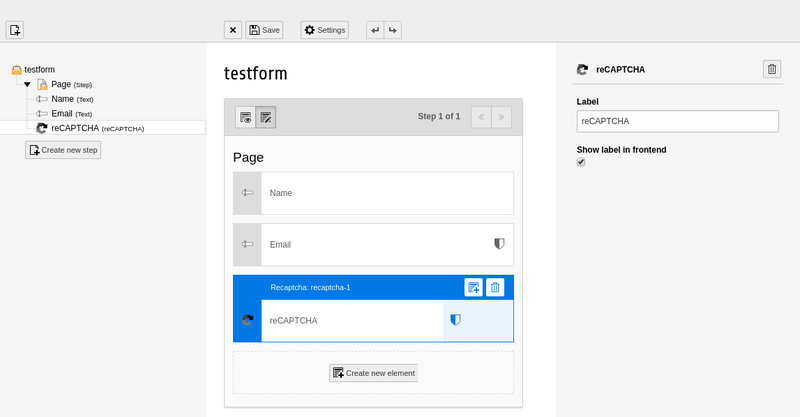 In the form manager it’s possible to add the captcha to a form by choosing it in the new field wizard. After the selection the user is able to choose if the label should be rendered in frontend and if so what label text should be used. To use the invisible reCAPTCHA it’s necessary to add an captcha field. 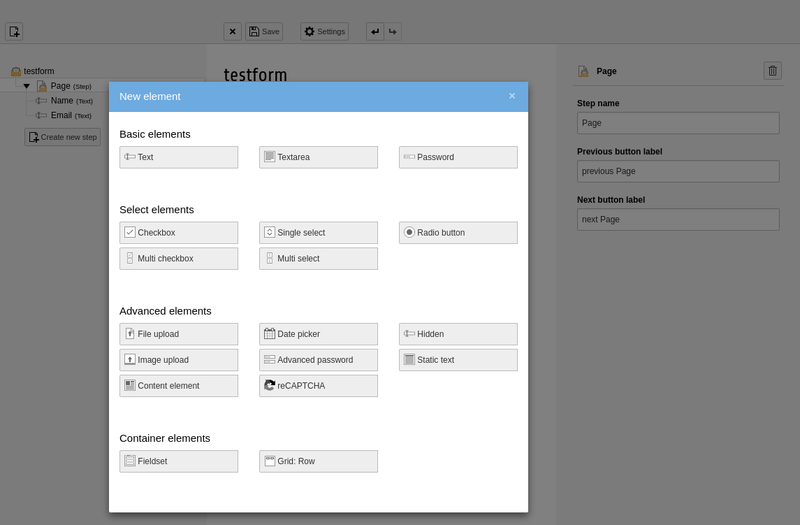 Once this is done the form needs to be configured via the settings button on top of the form editor. There the checkbox for “Use invisible recaptcha” needs to be checked. The invisible mode is only supported at the moment.